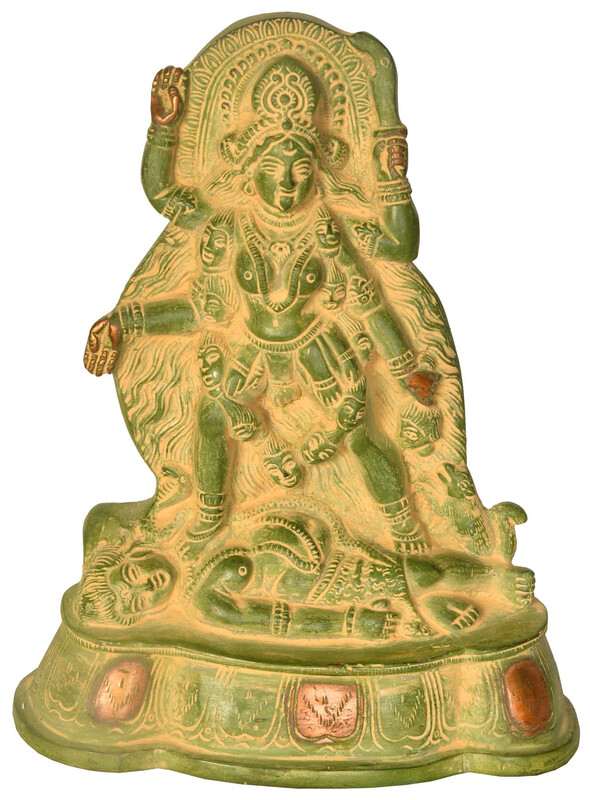 The worship of a mother goddess as the source of life and fertility has prehistoric roots, but the transformation of that deity into a Great goddess of cosmic powers was achieved with the composition of the Devi Mahatmya (Glory of the goddess), a text of the fifth to sixth century, when worship of the female principle took on dramatic new dimensions. 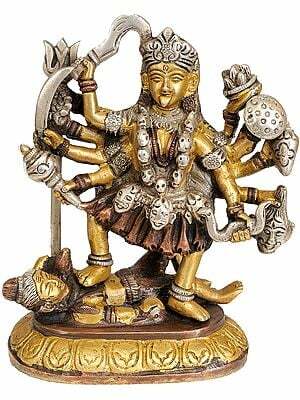 The goddess is not only the mysterious source of life, she is the very soil, all-creating and all consuming. 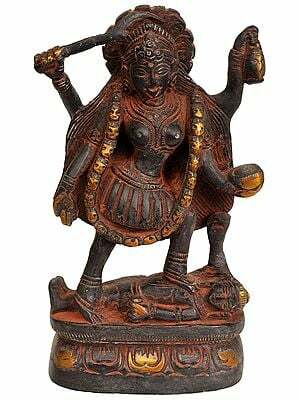 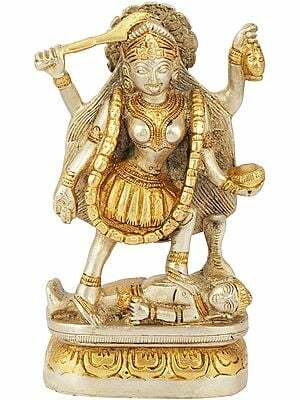 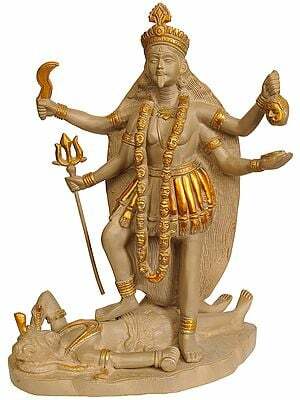 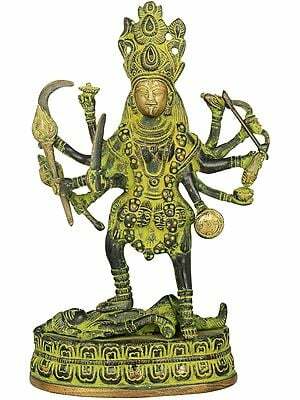 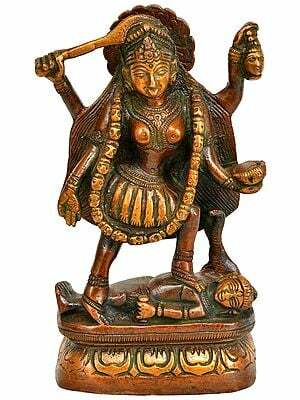 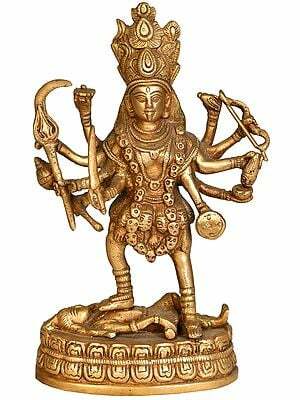 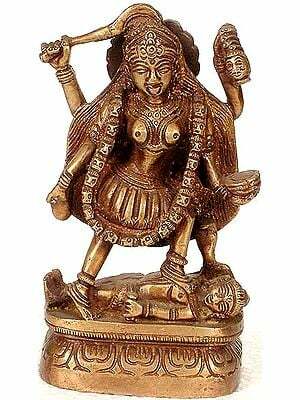 Kali makes her 'official' debut in the Devi-Mahatmya, where she is said to have emanated from the brow of Goddess Durga (slayer of demons) during one of the battles between the divine and anti-divine forces. 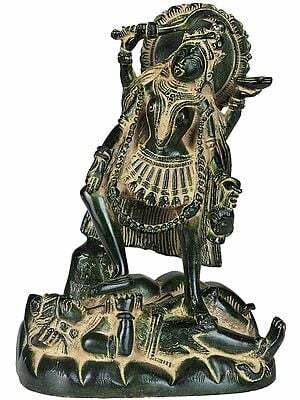 The image of a recumbent Shiva lying under the feet of Kali represents Shiva as the passive potential of creation and Kali as his Shakti. 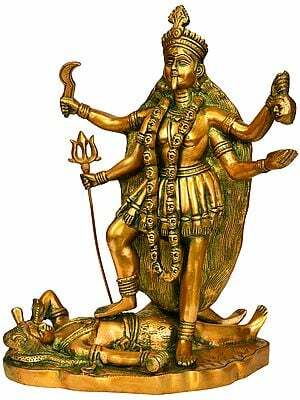 The generic term Shakti denotes the Universal feminine creative principle and the energizing force behind all male divinity including Shiva. 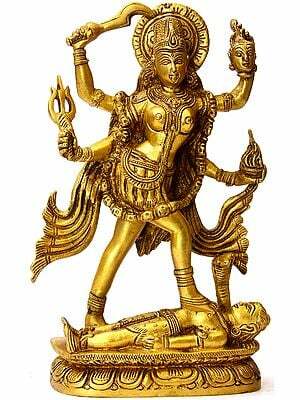 Shakti is known by the general name Devi, from the root 'div', meaning to shine. 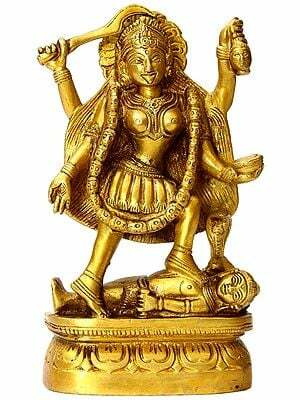 She is the Shining One, who is given different names in different places and in different appearances, as the symbol of the life-giving powers of the Universe. 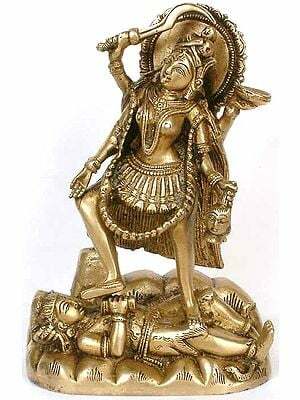 It is she that powers him. 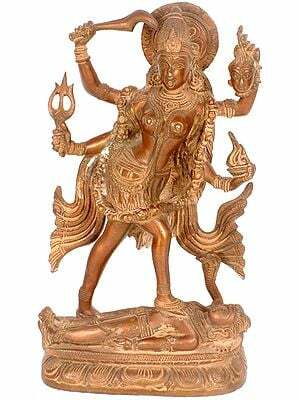 This Shakti is expressed as the i in Shiva's name. 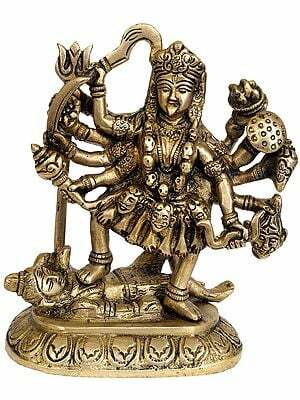 Without this i, Shiva becomes Shva, which in Sanskrit means a corpse. 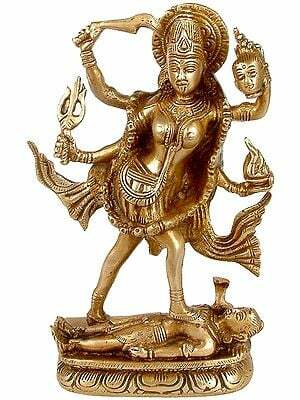 Thus suggesting that without his Shakti, Shiva is powerless or inert. 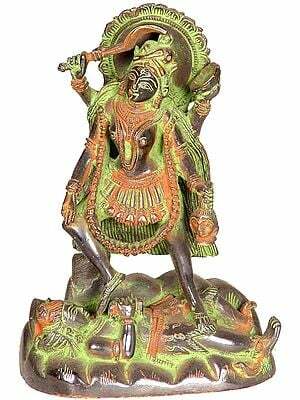 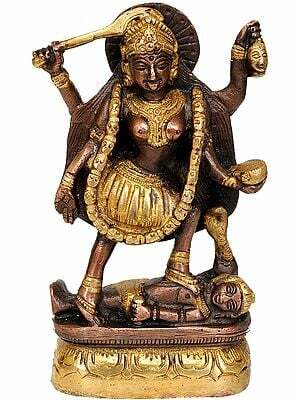 Kali's boon is won when man confronts or accepts her and the realities she dramatically conveys to him. 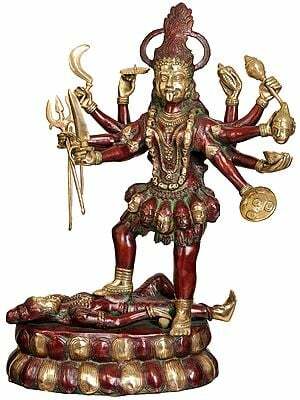 The image of Kali, in a variety of ways, teaches man that pain, sorrow, decay, death, and destruction are not to be overcome or conquered by denying them or explaining them away. 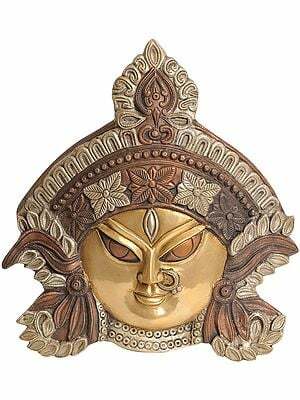 Pain and sorrow are woven into the texture of man's life so thoroughly that to deny them is ultimately futile. 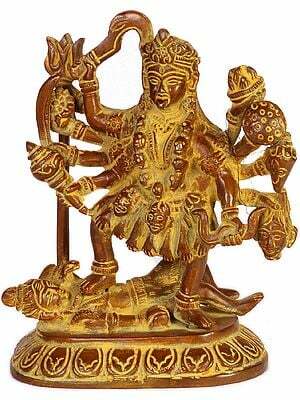 For man to realize the fullness of his being, for man to exploit his potential as a human being, he must finally accept this dimension of existence. 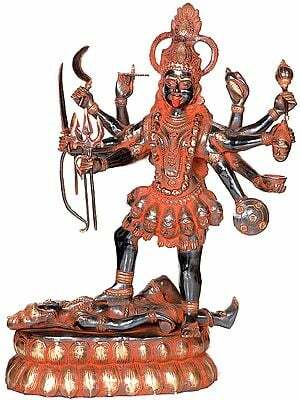 Kali's boon is freedom, the freedom of the child to revel in the moment, and it is won only after confrontation or acceptance of death. 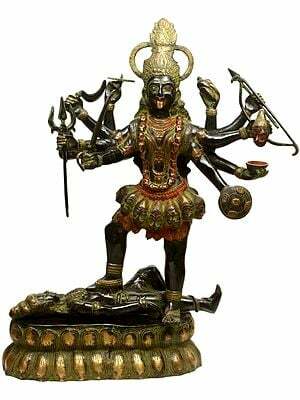 To ignore death, to pretend that one is physically immortal, to pretend that one's ego is the center of things, is to provoke Kali's mocking laughter. 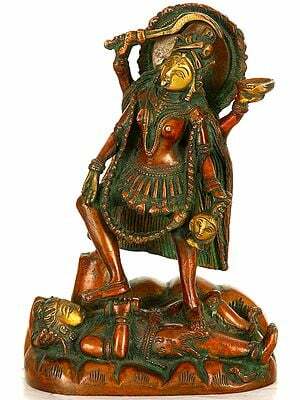 To confront or accept death, on the contrary, is to realize a mode of being that can delight and revel in the play of the gods. 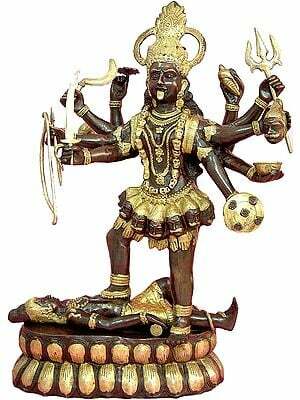 To accept one's mortality is to be able to let go, to be able to sing, dance, and shout. 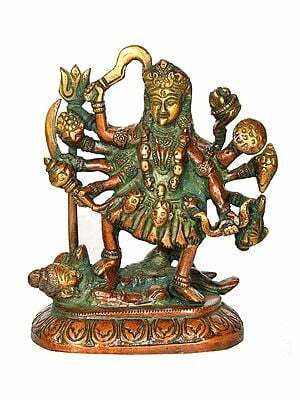 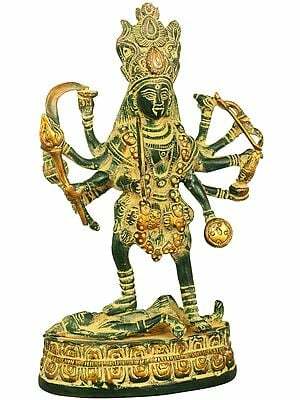 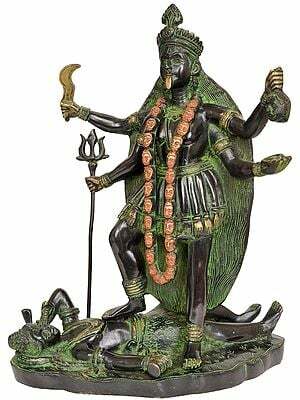 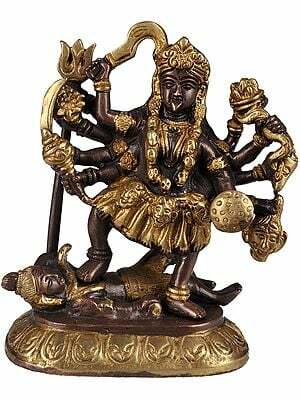 Kali is Mother to her devotees not because she protects them from the way things really are but because she reveals to them their mortality and thus releases them to act fully and freely, releases them from the incredible, binding web of "adult" pretence, practicality, and rationality. 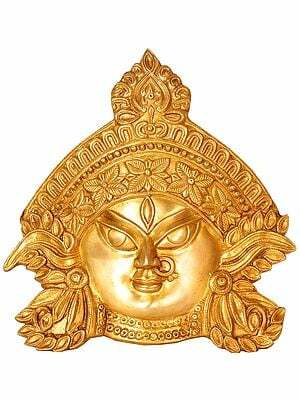 This is a brass casting. 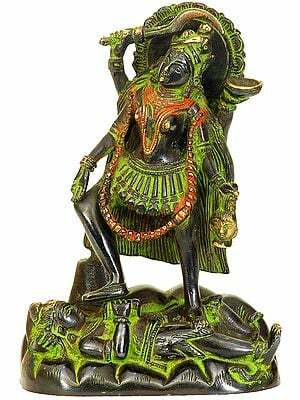 It was prepared in the town of Aligarh, in the northern state of Rajasthan.